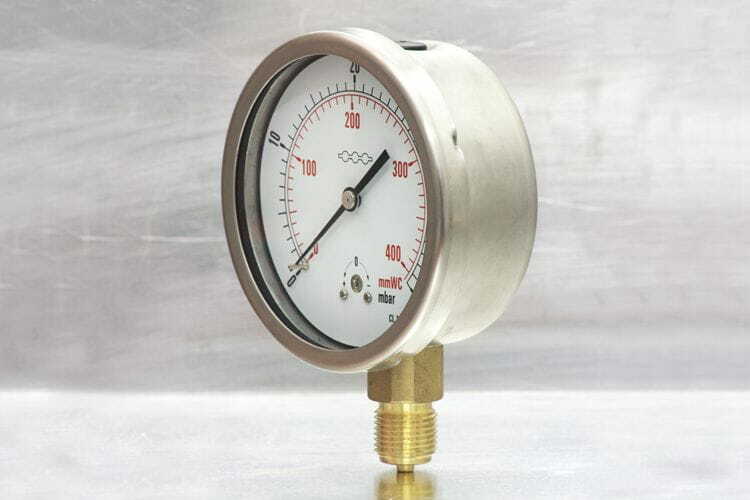 These capsule-actuated pressure gauges are intended to measure low pressures (either positive or negative) of air and clean gases. Due to their high sensibility, these gauges cannot be filled with glycerine, so that they must be safe from vibrations. For corrosive gauges a fully stainless steel versión exists, and for other fluids (viscous, liquids…) there is a version with chemical seal.